Symbol's LS4208 handheld laser scanner accelerates throughput with breakthrough productivity-enhancing features, including continuous one-pass scanning. 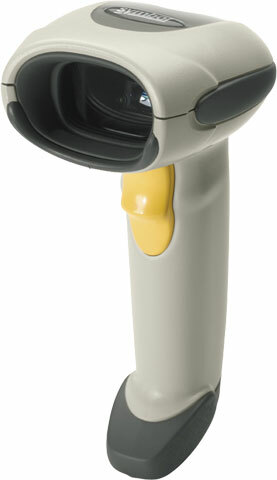 It also offers features not found in other available scanners: innovative multi-line rastering scan pattern, wide working range and superior motion tolerance. LS4208-SWZU0100ZR	 LS4208, USB Kit: Includes scanner and USB Series A 7 ft. straight cable - White. The Symbol LS4208-SWZU0100ZR is also known as Symbol Technologies	SYM-LS4208SWZU0100ZR	or LS4208SWZU0100ZR	.